We Chat With The Filmmaker Who Directed Tavi in "Cadaver"
Weʼve always known that Chicago breeds some pretty talented individuals, and itʼs nice to see some of our favorite Chicagoans collaborate together to produce some seriously impressive results. 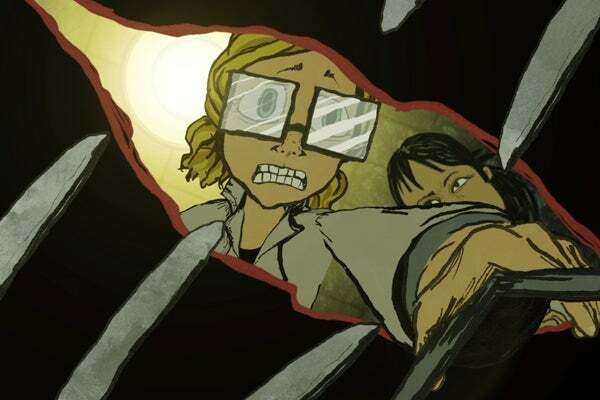 Recently, Chicago fashion maven and blogger Tavi Gevinson teamed up with a local director and filmmaker Jonah Ansell on an animated short entitled Cadaver.The short is a cinematic poem narrating the story of a medical student who helps a corpse say his ﬁnal goodbyes. Both Tavi and Jonah are both Oak Park natives and we had the pleasure of chatting with Jonah about his inspirations, background, nostalgia about growing up in Chicago, and what he has planned for the future. What was your inspiration for Cadaver? "About a year and a half ago, my little sister, who is a medical student at Northwestern, sent me a frantic email. They were making the med students do some sort of creative assignment, like, 'tell us what you think this cadaver’s life must’ve been like, write a haiku, or draw a picture,' I think it was intended to get the kids to realize that the body that they were going to spend the next semester dissecting was once a living, breathing human and that they needed to treat it with respect. So, I wrote this little poem, a love story in fact, about a cadaver who wakes up and begs the med student to help him say a last goodbye to his wife, who he didn't get to say farewell to, before he died. I didn't think anything of it. I went on with my day. In fact, I think a whole year went by. But something in the story kept drawing me back to it. That something is now the film, Cadaver . Cadaver is told as a “cinematic poem”. What was your intention in having it read like a sonnet? "Cadaver is, at its core, a poem. But it tells a larger story of romantic versus cynic. Of how love inspires versus how love exploits." Why did you choose Neil Young’s "Heart of Gold" to be featured in the film? "Great music obliterates walls. Great music shreds away fears. Great music exposes what is fraudulent. Neil Young's "Heart of Gold" is stark, frail, raw, vulnerable and gritty. It augments the emotional journey of the character of the Cadaver (as played by Back to the Future's Christopher Lloyd). In filmmaking, I always ask, where, how and why could music augment this moment? Or reinforce the stakes of this journey? However, in this particular case, the idea to even use "Heart of Gold," was inspired by the actual words of the screenplay. We were honored and humbled when Neil Young gave us permission to use his timeless song in our film." How did you and Tavi begin working together?